Nikon and Canon are the most dominating DSLR brands in the world of Digital Photography today. The Nikon D800 and the Nikon D610 are two extremely popular models from Nikon. There is very little common among these two models. Let’s check out the basic features and differences among them. When comparing between the Nikon D800 and the Nikon D610, the D610 model does not really have a lot to offer. The Nikon D610 offers a slightly lower noise at a higher ISO. The body is also lighter than the Nikon D800. The Nikon D610 comes with a built-in microphone. Being lighter in weight, the model is also narrower, shorter and occupies less space than the Nikon D800. In respect of configuration, the Nikon D800 is more superior than Nikon D610. The Nikon D800 comes with a higher number of focus points – 51, to be exact. It offers higher number of pixels for images and at high ISO, the noise is very low. It has a larger sensor than most common DSLR models and the image quality is extremely well. With auto focus, the shooting is 4 fps. The Nikon D800 is dustproof and waterproof. The battery is also very strong with 1900 mAh power. The Nikon D800 offers 25.3 bits of color depth and the pixel density is also very high – 442 ppi. The resolution of the screen is 1176×784 px and the shutter lag is very low – 0.042 s. The Nikon D800 allows recording videos at 1080p at 30 fps and also has an in-built focus motor. 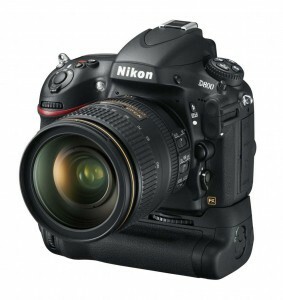 HDR mode is available in the Nikon D800. The Screen size is considerably large standing at 3.2″. The dynamic range in the Nikon D800 is very wide, at 14.4 EV. The device is weather sealed and will prevent any sort of failure in any weather conditions. Nikon D800 features more cross-type focus points. These focus points can identify both vertical and horizontal, ensuring that the focus is absolutely reliable and precise. The newer version of USB – 3.0 is supported by Nikon D800 to ensure faster and better power management for the camera. Due to the super high resolution of the camera, whenever a blurred image is scaled down, it won’t look blurred anymore and the image quality will be retained! To wrap it up, the Nikon D800 is the clear champion among the two. If you’re looking for the best DSLR to buy, Nikon D800 can be an excellent choice. It offers everything you might need and nothing that you won’t! The Nikon D800 has more focus points than the D610. The photo megapixels is much more in the D800 than the D610. The noise is a little high in the D800 compared to that in the D610. D800 has a better battery power than the D610. D610 is lighter than D800. D610 comes with a stereo microphone, which is not available in the D800. ishraq. "Difference between D800 and D610." DifferenceBetween.net. March 25, 2014 < http://www.differencebetween.net/object/gadgets-object/difference-between-d800-and-d610/ >.